Hello, it’s your friend in pie here and I am once again ready and willing to delve headfirst into another meat and gravy filled delicacy for your reading pleasure. I have been asked many times why I spend every week sitting down and writing about pie and other than hinting that this started as the result of conversations had over a pint I’ve never really gone fully into it. Well today is the day you get under the golden flaky crust of Meat Filled Pastries as I try and make this journey seem less mad cap than it looks on first appearance. Firstly I am a massive football fan, I have my teams that I follow, and if you read through the pie reviews I have made so far then you should be able to figure out who they are, but as a rule if there is a game of football to be found, then I’ll be at it. Whether its junior, professional, part-time, international or even the wrongly maligned women’s game. As far as I am concerned the true football experience involves standing (or sitting) at a football ground come rain or shine, something that Gary Neville and his multiple camera views will never be able to replicate. Now, when you go to so many games of football the natural side effect to this is you eat a lot of pie, and I have eaten a LOT of pie. 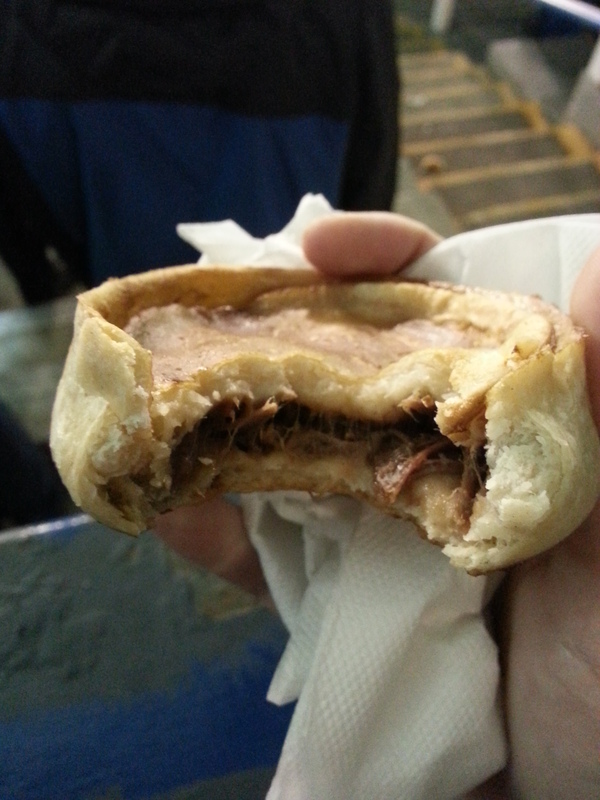 For many the pie is a quintessential part of the match day experience and since such additional costs like programmes and hospitality packages are rated it seemed odd to me that something so intrinsically linked with football in the UK, and Scotland specifically, did not have a champion of it’s own. I am going to be that champion, and not just for the humble pie but, as a by product, for all the clubs that I visit on my journey. I hope so far you’re happy with the job I’m doing. 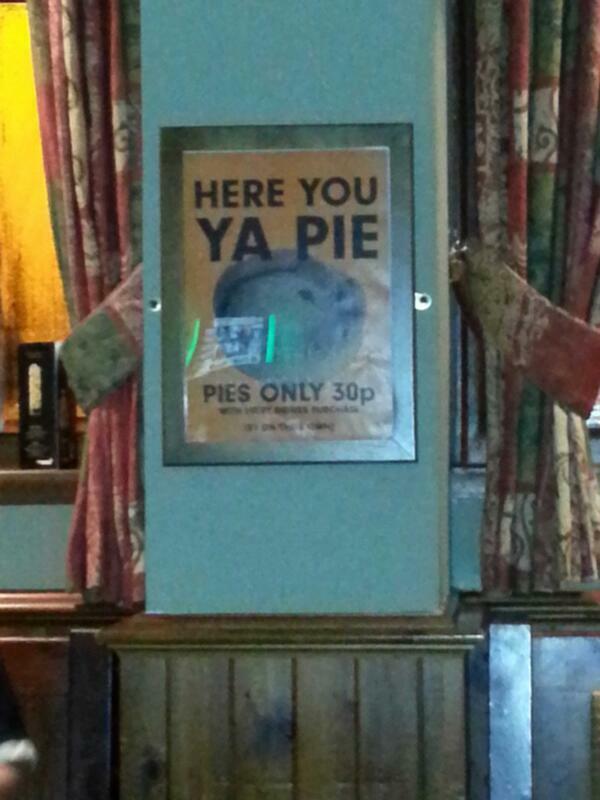 Since this journalized adventure has started I’ve consumed 35 pies, gained a bit of notoriety around the terraces as the ‘pie-man’, been on local radio and picked up readers from as far afield as Tajikistan, South Africa and Vietnam whilst also returning to doing some serious writing when not engulfed by the world of pie. It’s been a lot of fun and I’m sure it will be for a long time to come. With the rationales explained, time to get down to business and review the second pie from Irvine Meadow, and a return to the luxury market with a steak special. 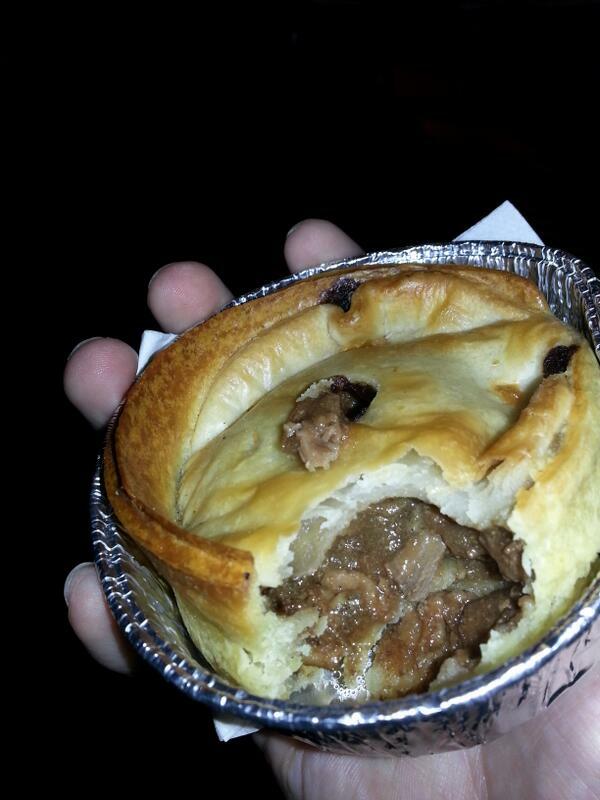 Price: Priced at £1.50, much like the Irvine Meadow scotch pie this is slap bang in the middle of the price range expected to be paid at a junior ground for a luxury pie. Presentation: Wearing the little black dress of the pie world, a medium sized white napkin, the first steak pie not to come within a tin foil case and as such removing any risk of the pastry sticking and the bottom falling out of the pastry base. Meatiness: Within one bite the meat came gushing out of this pie in all its plentiful glory. This really was a case of the gravy smattering my face. The meat was cut into a mixture of thin ribbons and small chunks adding variety to each bite. The texture of the meat itself was great as you could feel the strands of meat fall apart in your mouth almost instantly. This pie had been cooked with care. The greatest joy of the filling though was the gravy. There was zero risk of calling this pie dry and it was seasoned very well. It was also of the right consistent to stay within the pie without the confines of a tin foil case to support it but still ooze as you bit down on the pastry lid. Lovely Stuff. Pastry: The pastry had a lovely golden top and the puff hadn’t expanded too much meaning that the all important meat to pastry ratio was well within the acceptable parameters. The pastry round the outside was fine, nothing outstanding but provided the necessary tasting notes a good pie should have. The base collapsed a little due to the volume and the moistness of the filling but nowhere near as much as you would expect. A functional casing for the meaty gold inside. Overall: This was a delicious pie and I would quite happily have one of these again in a heartbeat. My only criticism, the napkins need to be bigger because you end up getting yourself in a right mess! That mess however was totally worth it. Gravy Factor: Get me a pastry straw so I can sook up this gravy quicker than an aardvark partying on an anthill. All in all, an excellent effort and a good overall outing for Irvine Meadow on the pie front, the next pie to hit these pages will most likely be a result of a Tartan Army based misadventure over the weekend. 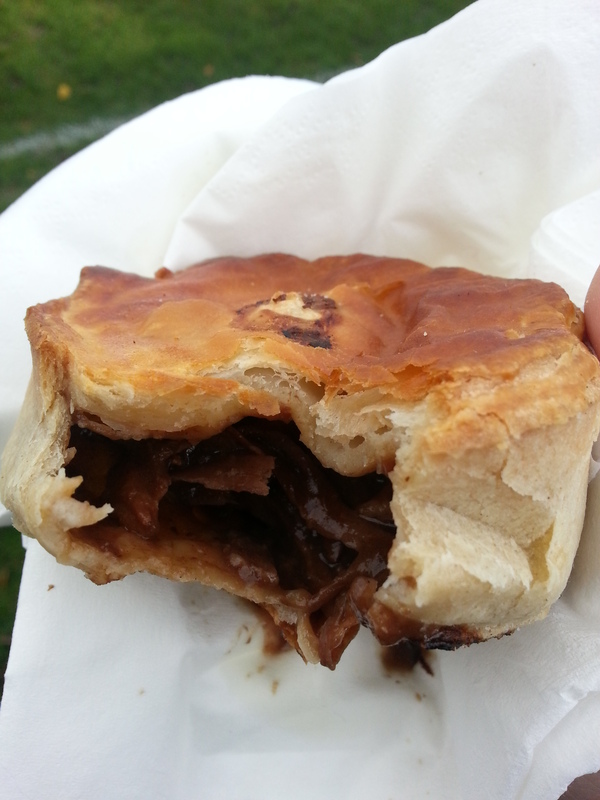 This entry was posted in Football Pies, Junior Pies, Luxury Pies, Sporting Pies, The Life of Pie and tagged Football, Gravy, irvine meadow, junior football, Meat, meatfilledpastries, pastry, Pie, pollok, scotland, steak, west superleague.